Not many people are sure of what to do when faced with a breakdown or a road accident. 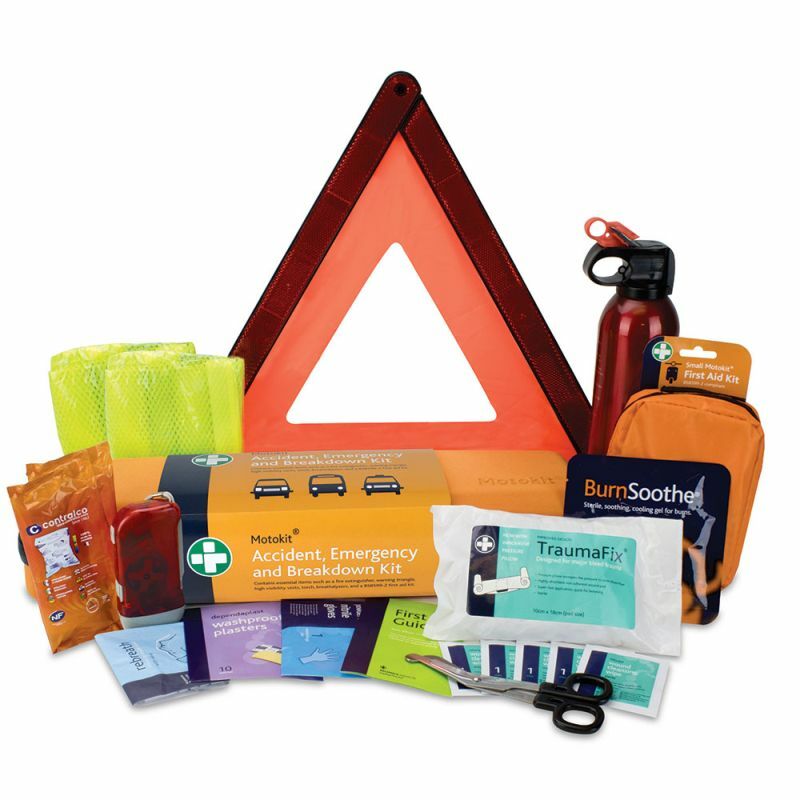 The Accident, Emergency and Breakdown Motokit with First Aid Kit contains essential materials for the discerning driver wanting to be prepared for any roadside incidents. Even if you have a breakdown policy with your vehicle in place, they can still fail from time to time. Having an extensive kit that prepares you for any eventuality when broken down will make your life a lot easier while you wait for roadside engineers or the emergency services. What is Included in this Motokit? 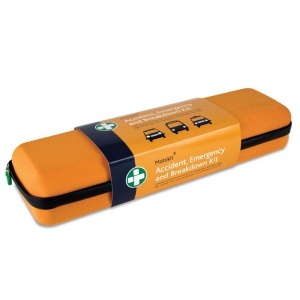 The kit comes in an orange clamshell zip bag designed to fit all of these essential items to economise on space. Created to keep you safe on the side of the road, this Motokit is an invaluable resource for both roadside emergencies and driving safety. The Accident, Emergency and Breakdown Motokit with First Aid Kit is usually dispatched via First Class Royal Mail and delivery should be within 1 to 3 working days.